Rüsselsheim. A new era begins today at Opel’s home plant in Rüsselsheim; the first Insignia Grand Sport produced to customer order officially rolled off the assembly line on Tuesday. “We have been looking forward to today for a long time; our new flagship has finally arrived. 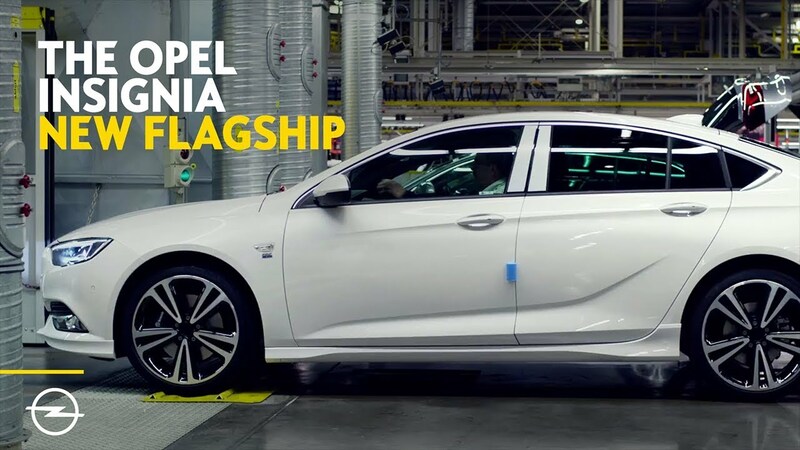 This is an important day for Opel and Rüsselsheim,” said Opel CEO, Dr. Karl-Thomas Neumann during the celebrations for the start of production of the second generation Opel Insignia. We invested more than €500 million just to prepare for the production of our new flagship.” An Insignia Grand Sport in abalone white with 170 hp 2.0‑liter diesel engine stood in the spotlight at the end of the production line. The order books for the new Insignia Grand Sport and Sports Tourer opened on February 16. The first three production cars are destined for Poland, Denmark and Germany. The new Opel flagship just made its official world premiere at the Geneva Motor Show. The car will be in dealer showrooms this summer. Dr. Neumann is confident that the new edition of the Opel flagship will continue the success of its predecessor. Nine hundred and forty thousand (940,000) units of the first generation Insignia – the 2009 European Car Of The Year – have been sold in total, making it the fourth best-selling Opel model. Based on an all-new vehicle structure, the new Insignia is up to 200 kilograms lighter than its predecessor as well as lower and more spacious inside. The design is athletic yet elegant. One of the technology highlights is the intelligent all-wheel drive system with torque vectoring – torque distribution to individual wheels within milliseconds. The new Insignia also offers a host of driver assistance systems that contribute to safety and make driving more comfortable and relaxing, such as the second-generation IntelliLux LED® matrix headlights, adaptive cruise control (ACC) and active lane assist. Please also read the Opel Post interview with CEO Dr. Karl-Thomas Neumann conducted on the occasion of the start of regular production of the new Insignia.